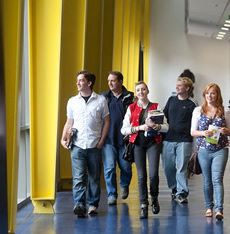 Mary Immaculate College (MIC) is Ireland’s leading university-level College of Education and Liberal Arts. The College has over 3,600 students enrolled in undergraduate programs in Education, Liberal Arts, Contemporary and Applied Theatre Studies and Early Childhood Care & Education as well as a range of postgraduate programs at Diploma, MA and PhD levels. MIC has a vibrant international community, collaborating with more than 50 partner universities & colleges in Europe, North America and Australia, and hosts over 120 international students annually. We are Ireland’s most prestigious and top-ranked College of Education and Liberal Arts. We have a beautiful campus mixed with modern and traditional buildings with top class sporting and recreational facilities. MIC prides itself on the fact that all of our students receive the very best in pastoral care. MIC is delighted to state that, for the second time, we are the winners of the StudyPortals 2016 Outstanding International Student Satisfaction Award! MIC is situated on a safe & secure campus and is internationally renowned for its friendly, welcoming atmosphere. MIC is conveniently located in a leafy suburb just ten minutes’ walk from Limerick city centre, in Ireland's Midwest region. 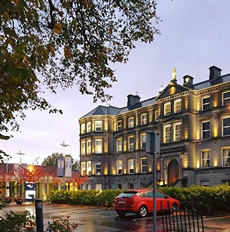 With access to all major routes, the campus is just 20 minutes from Shannon International Airport and near to all the most beautiful scenery and tourist destinations in the Shannon Region e.g. the Cliffs of Moher and Bunratty Castle. Since the foundation of Mary Immaculate College in 1898 we have been committed to academic excellence and the fostering of critical thought, educational inclusion and innovation. The programs of study at our College are among the most highly sought-after in the country. 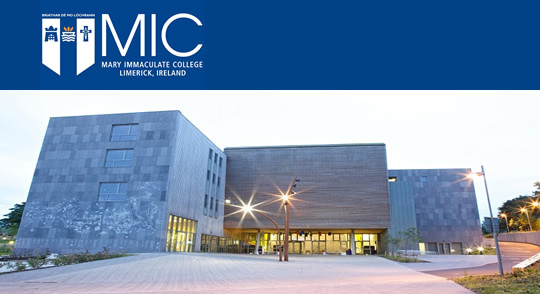 As Ireland’s largest Catholic college, MIC is equally proud of its reputation as a caring institution where there is genuine concern for the individual. Limerick City has three institutions of higher education with a combined student population of 20,000. Student life is central to the beating heart of the city and the streets are filled with cinemas, restaurants, bars and nightclubs. There is a beautiful 510-seat theatre on campus which attracts national and international music, theatre, dance and comedy performers and another 300-seat theatre/cinema managed by the College in the city center. Limerick City is Ireland’s third largest city and renowned for its culture and heritage. Originally founded as a Viking fortress you can still find the majestic King John’s medieval castle at the heart of Limerick City on the beautiful River Shannon. With a population of just 96,000, Limerick is a very student-friendly, safe environment. It is easy to get around while offering all the amenities and benefits of living in a city. The majority of Ireland’s famous and most scenic tourist attractions are located around Limerick City such as The Burren, Bunratty Castle, the Ring of Kerry, the Rock of Cashel and of course the Cliffs of Moher. Ideally located just twenty minutes from Shannon International Airport, our international students are able to travel around Europe with ease. 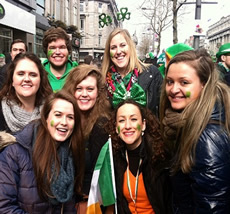 Our fantastic International Society also arranges weekly trips around Ireland. Limerick is also the sporting capital of the Mid-West of Ireland, home of the professional Munster rugby team. It houses two sporting stadia and an abundance of sporting facilities. There will be many factors determining a student's personal expenditure while studying at Mary Immaculate College.